Does the NGS need to reconsider the plot? 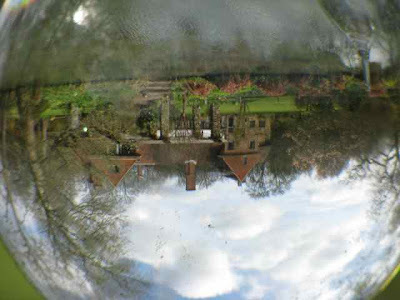 Britain has beautiful gardens – thousands of them – and we are also lucky enough to have the National Gardens Scheme (NGS) – a fast-growing network of public and private gardens that open their doors to the public to raise funds for various cancer-related charities under the umbrella of the “Yellow Book” scheme. The famous “Yellow Book” is published annually and lists all the garden openings for the year, divided into counties, so garden enthusiasts can get a peak at some gardens that wouldn’t normally be open to the public. It’s a true example of British patriotism – with garden owners banding together under one large yellow umbrella – to support a noble cause. Those gardens can be large or small; style is unimportant; they can open for just one day a year under the scheme, or on a regular basis throughout the season; and the gardens that take part all donate the proceeds to the NGS. It’s a wonderful idea and the patron is HRH The Prince of Wales. But it has its disadvantages too and these are becoming all too apparent as the scheme grows! Each year the NGS proudly announces the fast-growing numbers of gardens in the scheme - 2010 sees more than 3,700 under the yellow umbrella. No doubt there will be more than 4,000 in 2011; 4,500 in 2012 and so on, because it’s considered great and good in Britain to open your garden for a worthy cause. It’s public spirited; patriotic and also a way to test the water for garden owners in a growing garden market. 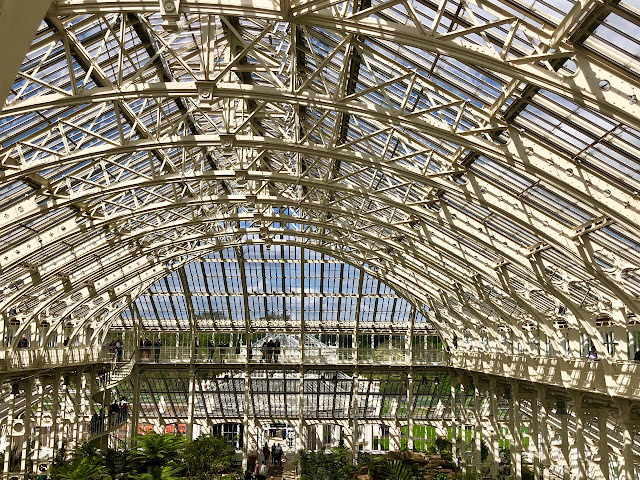 Visiting gardens has become a bit like the old-fashioned Sunday school stamps of the 1960s when, as a child, you collected a shiny new sticker every time you attended church. 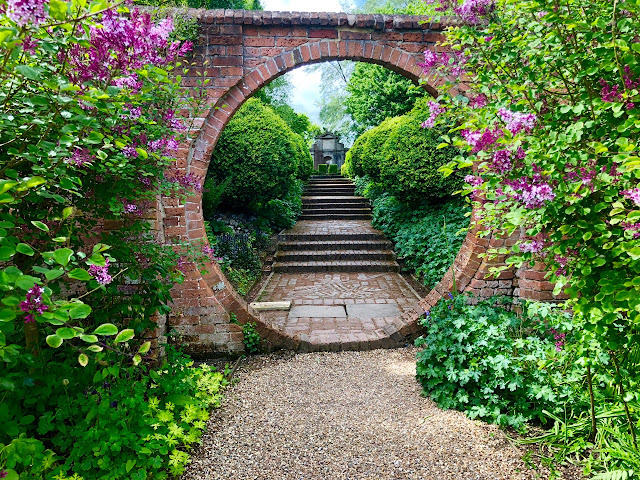 Visiting NGS gardens has become remarkably similar – as the public race to attend new garden venues nationwide, and cross them off in their Yellow Books. In fact, I wouldn’t be at all surprised if they didn’t introduce a Yellow Passport soon, where you get an official stamp for every garden visited under the scheme, and some form of miles accumulator that allows you free garden entries once you’ve attained a certain number of stamps in your book. Newcomers to the NGS scheme tend to open for just one day in the first year, but this in itself causes huge problems. I’ve visited no less than 10 new gardens under the scheme this year where the hype has led to such severe overcrowding that you can’t actually see the garden that you’ve come to visit; certainly don’t have the opportunity to enjoy the plants; and are hustled and bustled in royal Garden Party style by over-zealous plant fanatics, who are probably more interested in seeing “how the other half lives” than appreciating the garden. In short, it’s not as much fun as it used to be and it seems that neither garden owner nor organiser has paused to think about the logistics of parking, toilets or serving teas to stampeding crowds of voyeurs! I have attended city garden openings where the queue goes round the block; country openings where the local village has seized solid with the traffic waiting to get into a parking lot that was never going to provide enough space for all the visitors; been abused by other visitors in their quest to get into the garden on offer; and fled from the scene like a wounded animal, licking my wounds and promising to give up NGS visits. And if I feel like this, others must feel the same! And what of the impact on the environment? These days airlines ask you to donate for your fuel usage and governments tax airline seats, in a bid to offset the environmental penalties of flying. Shouldn’t the NGS be doing the same, because the miles being driven by eager garden gurus must surely be having an enormous impact on our fragile environment? Now don’t misunderstand me – the NGS is a British institution with a heart – a brilliant way of raising much-needed funds for respected charities that provide real benefits for those in need. But perhaps they need to re-think the way they operate in a fast-growing garden-visit market where some visitors are only interested in checking off numbers, and wasting valuable resources in the process. And perhaps they also need to consider whether gardens are really worthy of being under their Yellow umbrella, because I can tell you, there are some I’ve seen this year that simply aren’t worth the entrance fee! In conclusion, I have no doubt that I shall now be beaten senseless about my comments, but I’d love to hear what readers have to say! And just in case there's any question over the photographs I've included here, each garden here gave me permission to use my pictures. Another logistical problem is scheduling. In my area, the majority open on the same day, the second Sunday in June. Or perhaps that should be considered a blessing. That's also the peak time when there's a lot to do in one's own garden. I went through a phase of visiting NSG gardens, and NT gardens. Then I began to ask myself what I was actually getting out of it. Garden visiting is a bit like foreign travel. People have an idea that they might find something, that they think they need... somewhere else. But it's just an illusion. There's an Eastern saying, Idries Shah, 'the desire to travel is a test not a command'. Gardening is about getting close to nature. The only way to do this is by tending your own plants in your garden. That's far more satisfying and sensible than sitting in a queue on a Motorway. 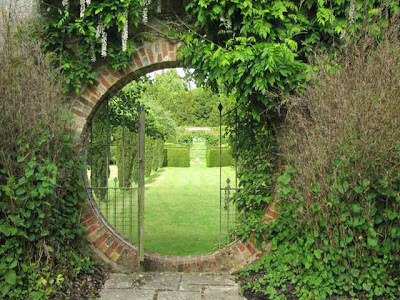 I have been wondering about the consistency of the quality of thegardens that open. An acquitance of mine open her garden for the first time this year but to be honest I dont know how they got accepted. The garden was not up to the standard I would expect from an NGS garden. I think that in a push to include more the quality is being diluted too much. 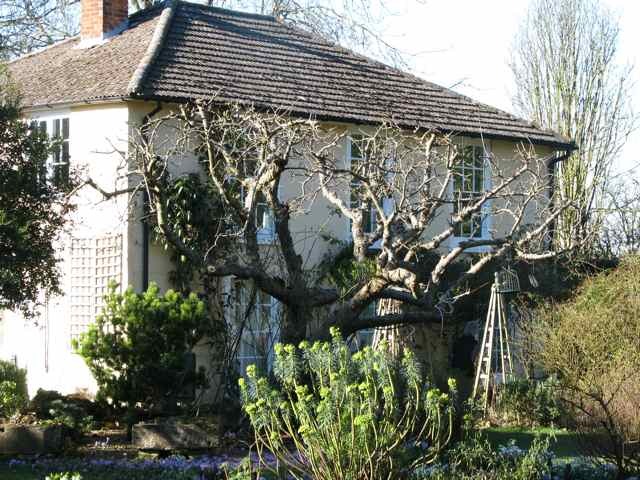 I love visiting yellow book gardens although I tend to stick to SW London & I will not travel great distances to tick off another one; they tend to be fairly local on the whole. I have never visited one where there are long queues to get in or where there is some sort of gridlock but I have visited one or 2 where I have not been particualrly impressed with the garden. Your comment about the 'Passport' made me laugh as that is how we used to get our children to visit National Trust properties. Do you have suggestions? There has to be some sort of balance between getting lots of visitors (more money) & being able to actually appreciate the garden you are visiting. Sadly there is no way to filter out the trophy visitors! It sounds like a great idea, but i can understand the problems. I would love to visit the gardens you pictured! Maybe there should be registration and only certain numbers of visitors allowed to visit on any given day. The more popular gardens could charge more for admission. An interesting set of questions. It seems that perhaps for many open on the same day, perhaps better organizing on the day, and providing shuttles from a central car park might help alleviate at least some of the woes. Some of our remote wineries do that here, not just to encourage carpooling, but to help decrease traffic and parking at the site. Ideally of course this service would be donated, so as not to dip into the charity funds. As for garden quality with some of the newcomers, perhaps the most valuable thing would be, as a patron, to provide feedback to the NGS? If enough voice that they are dissatisfied with the caliber of some gardens, they may change their criterion for inclusion? Although it's all a bit tricky when it's all done in the name of fundraising for charity, I admit. I wish we had something, anything like these in the USA. Garden tours of this kind are impractically few and far between. That doesn't mean of course, that the ones you do have couldn't be made even better. Your concern is interesting with respect to environmental impact, and, I'm ashamed to say, I hadn't thought of it this way. I do try and be reasonable in these type of endeavors and try to travel lightly upon the earth. On the other hand though, the same argument can be made for all things 'of pleasure'. Movies can't be made, theatre productions can't happen, and families can't be visited for the holidays without travel and fuel usage. Where do you draw the line on what is important and what is not? It's too bad - one of the nicest places I've visited over there was Rockcliffe in Gloucestershire, open on a yellow book day and quite uncrowded. We've got a problem in the U.S. also with quality - some of the Conservancy open gardens I've visited have been very disappointing. The hordes you describe must be a pain! I would be surprised if there were 3700 gardens in my whole state, let alone 3700 good enough to open to the public. 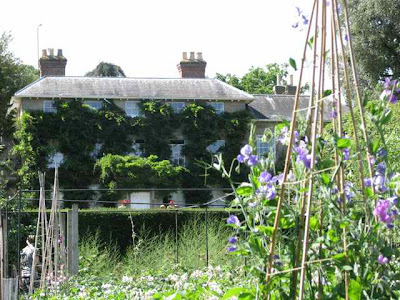 Gardening just hasn't reached the epic proportions here that it has acheived in England. I'm just relieved when the neighbors mow their lawn once a month. I did visit a garden recently where they had 300 visitors the first time they opened which they hadn't dreamed would happen and went on to build a separate loo (disguised as a castle tower) for the next year so that their septic tank wouldn't be compromised at future visits. Have you voiced your concerns to the NGS? I haven't seen any formal feedback mechanism as a visitor so far, but it's only by telling them that something can be done about it. 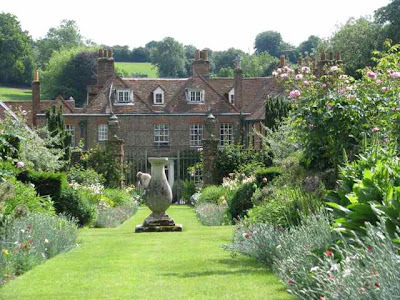 I like the NGS because it gives you the opportunity to visit private gardens you wouldn't otherwise be able to see. I do also share the view that the standards for accepting a garden on to the scheme are slipping a bit as I've seen some real duffers this year and if I hadn't known my money was going to charity I'd ask for it back! But on the whole I reckon it is a great scheme and a wonderful way to raise money for charity. Just need to pick the gardens to visit carefully! I think that the vast queues are a first opening phenomena. Everyone in the locality gets a chance to come and gawp. After that I believe the numbers tend to settle down. The unevenness of quality must be affected by the general reluctance in the garden world to foster discernment about gardens. If we are all encouraged to regard every garden as 'lovely' how can, and where can, people develop the necessary discrimination to select gardens for the NGS? Or indeed, the Good Gardens Guide or RHS Garden Finder? 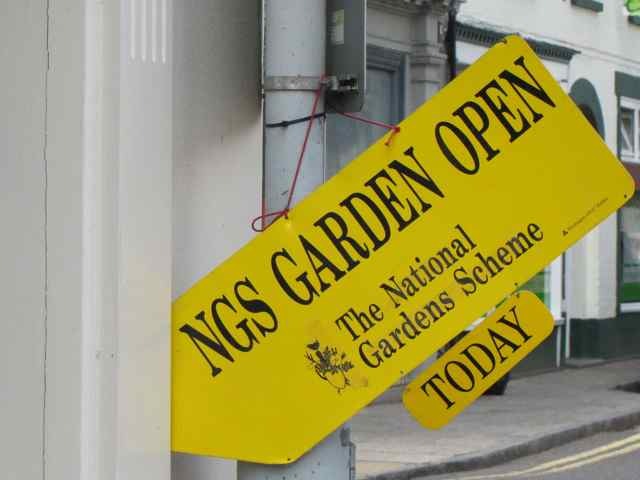 I do know that the numbers that pour in to a new opening do encourage the NGS to endlessly search for new gardens to open - in competition with their rival counties. I referred to you as the Queen Bee of garden tours in my latest post on that subject. Hope you don't think I'm too presumptuous! You raise some interesting points regarding quality. With regards to the time of opening we try to open when there is less 'competition' from other gardens as many people only wish to visit one garden in a day but perhaps this is something we should look at. I'm very glad you liked the garden at Lake House, it suffered from neglect for a number of years prior to me taking over the maintenance four years ago and my aim is for it to get better and better every year so please come back!